I was so excited when I opened the mailbox today. Inside was a little brown padded envelope. “Could it be?” I thought. I couldn’t wait to find out. There was no waiting until I got inside to open my package. Nope! I tore open that package right then and there. Inside that little brown package were the two items I had been waiting for – Daisy and Jasper’s new dog collars, a special gift from our friend Karen from Doggie Stylish. I was thrilled. I couldn’t wait to try them on Daisy and Jasper. Jasper has had the same dog collar since I first fostered him (nearly two and a half years ago!) 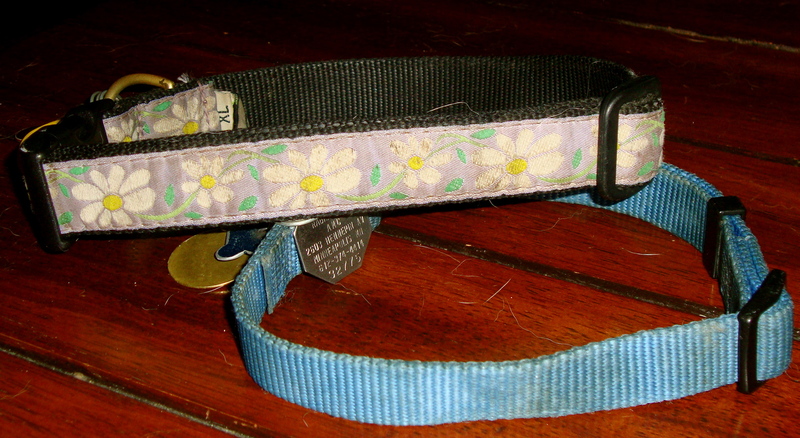 and Daisy’s collar (the one I bought her nearly 3 years ago) has begun to look old and faded. Yet, I have resisted buying them new ones. Why? Because I am somewhat nostalgic about them. 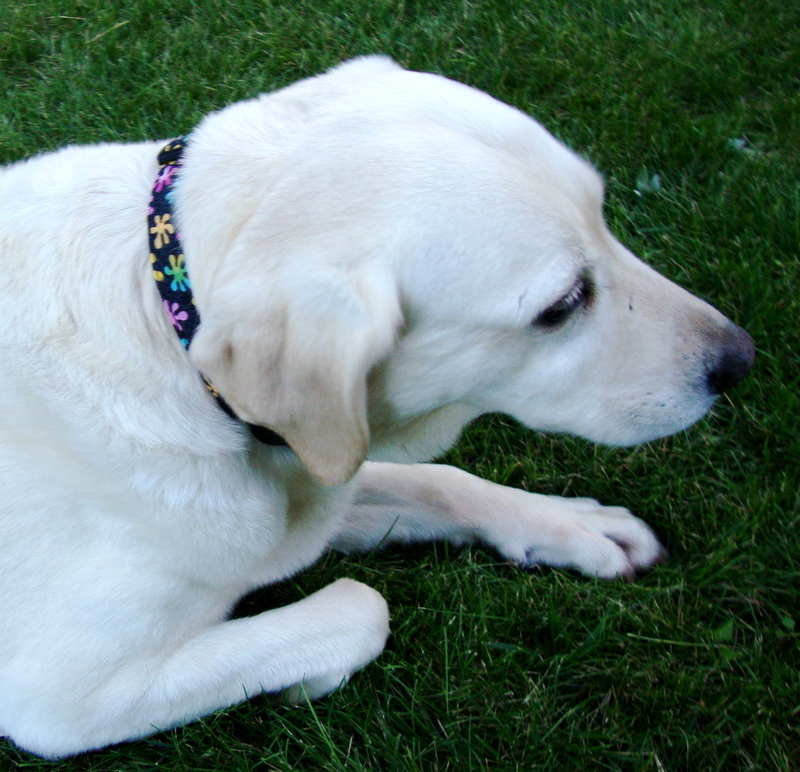 Not because they had some special meaning when I bought them or that they had some special significance because of their color or style, but because I am kind of a keeper of dog collars. When I say goodbye to one of my dogs and send them over that rainbow bridge, I keep their collar as a way to remember them. Each collar carries a lot of memories for me – the day they first came to live with me, the days we played in the park or cuddled on the couch or took a trip to visit a friend. All of my memories are wrapped up in that one little collar. That’s why when Karen offered to send them new collars I was a little bit tentative, despite the fact that they really needed some new ones. Could I give up their old ones and put on some new ones? Then it occurred to me that it was all about perspective. These new collars could be even more special and have more meaning than the ones Daisy and Jasper were wearing now – if I chose to look at them with a new perspective. That’s why I was so excited when Karen’s gift arrived. These collars will be a fresh start, but they also come with memories already attached to them, because they are a gift from a friend. These are the new ones that I will attach my memories to, the ones that I will look on with not only memories of my dogs, but memories of the person who gave them. What could be more special than that? Now, I just have to look at her site for new dog leashes to match! I’m off to Doggie Stylish to see what I can find! Before I go, here are Daisy and Jasper in their new collars! 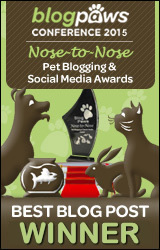 Categories: Fun Stuff, Pet Product Reviews, Pet Products, Photos Tags: dog collars, dog's collars, Doggie Stylish, Kenzo Hovawart, Rainbow Bridge, special dog collars, Will My Dog Hate Me? Awww Leo! ou are so right! I love that there are memories already attached to these beautiful collars. Yes, Karen is terrifically generous; I think of her often — and gratefully — when I give Frankie his shots. 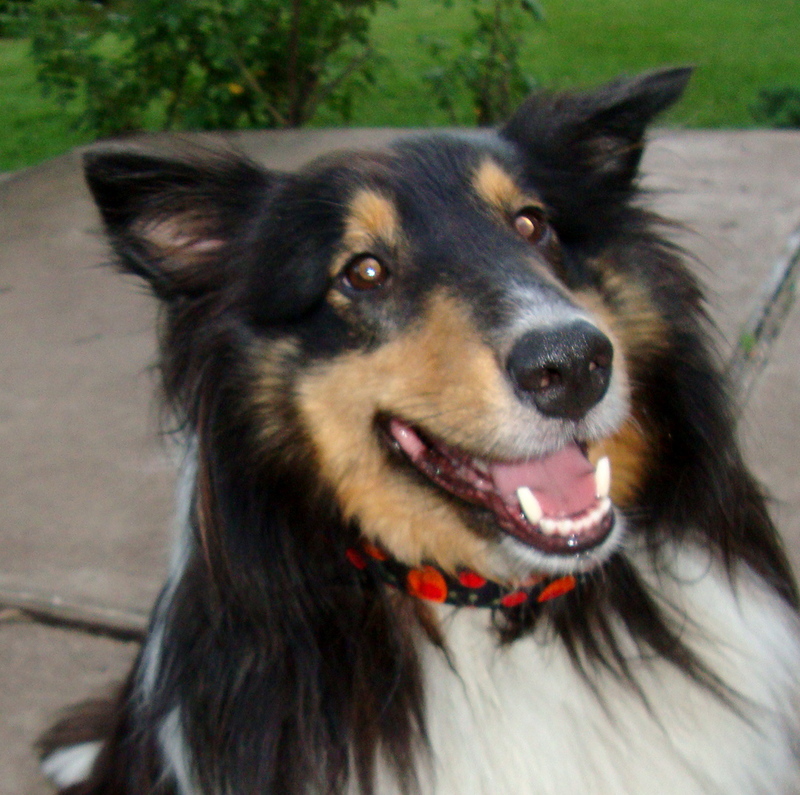 And of course her collars are gorgeous. 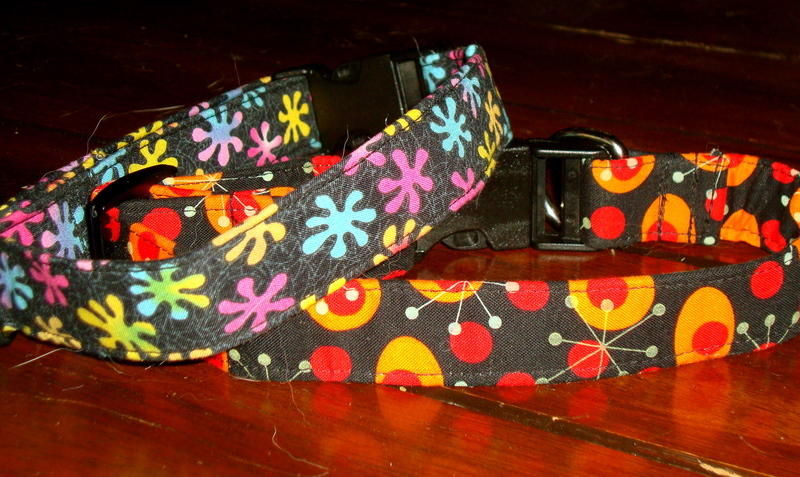 So you’ve got good-looking, good-karma collars; what could be better? Edie – I could not agree more. That’s why I wanted people to realize that she not only has great products, but that she is a great person too. I love the “good-karma collars” description. You described it exactly perfect Edie. Thanks Laura. They really are so cool looking. I love the bright colors too! The dogs look smashing! I’m sure you’ll start attaching some wonderful memories to the new collars. Karen does such beautiful work – and for those of you that don’t have one yet, she’s running a special: buy a leather collar, get the matching leash FREE! Oh Amy! Thank you for sharing! I did not realize she had a sale going on! People if you want to buy quality pet collars and leashes from someone who is beyond goo quality herself, then check out Doggie Stylish. Karen rocks and so does her stuff! Sorry I was a little late to the party, but I’ve been busy with “stuff”. Reading all these wonderful comments is really making my head swell to astronomical proportions 😀 I’m glad that you like the collars! Daisy & Jasper look lovely! Those dog collars are really super, both suiting your 2 doggies so well, I admire them greatly! Wordless Wednesday #52 Hypoallergenic dogs don’t exist. Period.